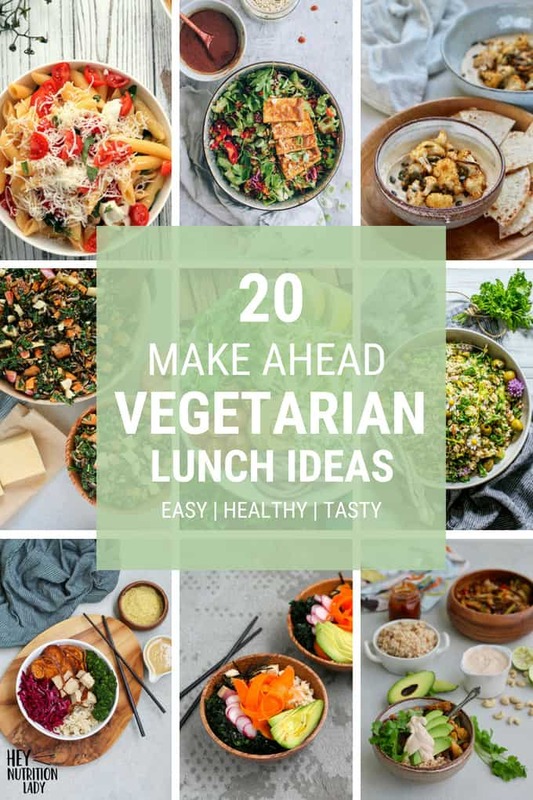 I don’t know if back to work / back to school time has already started for you or if it’s looming, but I do know what will help make it easier to take: some really great vegetarian lunch ideas. 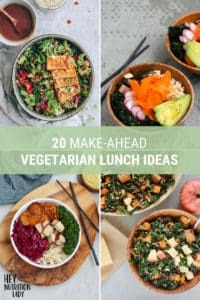 Today I’m rounding up 20 incredible Vegetarian Lunch Ideas, and we’re hitting up lunch bowls of all forms: Buddha bowls, fajita bowls, pasta bowls, and sturdy, packable salads that will fuel you into the afternoon. To be honest, I’m much more of a lunch bowl person than a sandwich person these days. I love the variety they deliver, how versatile they are, and they’re practically designed to be packed for lunch. Bowl meals also tend to be great for make-ahead and meal-prepping, which makes my meal planning heart happy. We’ve got healthy whole grains, plant-based proteins, and lots of veggies. What could be better than that? 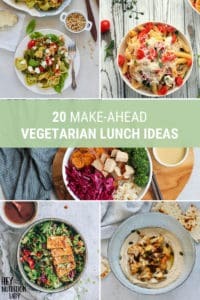 So without further ado, here are 20 gorgeous Vegetarian Lunch Ideas to get your season started! Vegan Sheet-Pan Fajita Bowls | Here’s a lunch packing tip: pack the avocado for these Vegan Sheet-Pan Fajita Bowls with the skin still on, face down in the lunch box, and it’ll still be in good shape come lunch time. Tuck a little jar of the chipotle-lime cashew cream alongside and you’re in business! 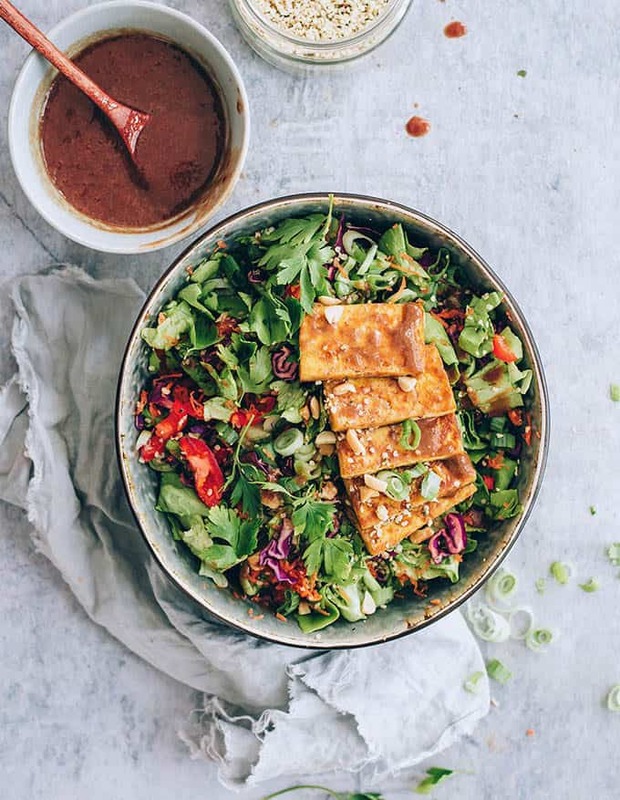 Miso Almond Power Salad with Baked Tofu | This vegan power salad from Hello Veggie is what vegetarian lunch dreams are made of! 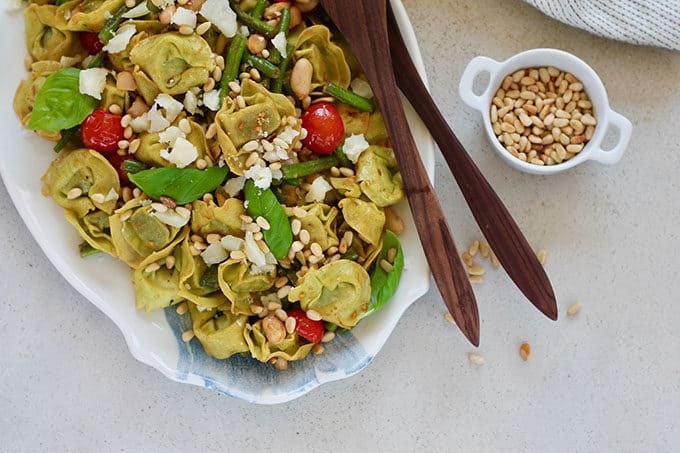 Tortellini Pasta Salad with Green Beans and Burst Tomatoes | This quick and easy pasta salad is delicious served warm, at room temperature, or even cold, which makes it perfect for packed lunches! 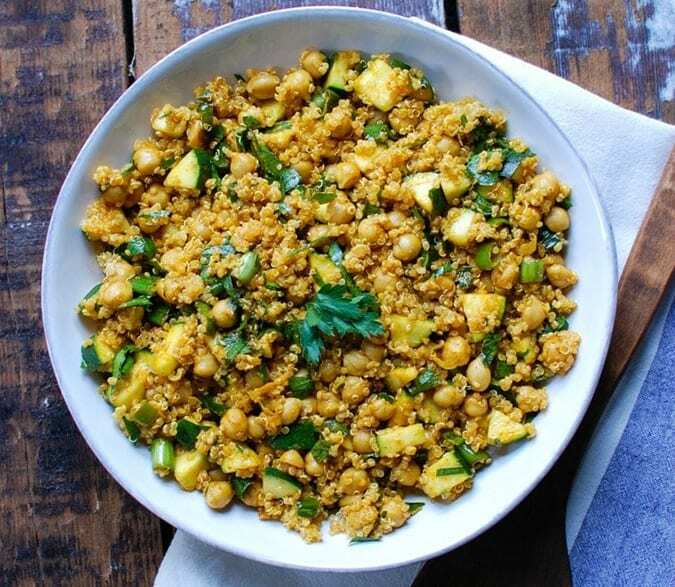 Zucchini Chickpea Quinoa Salad | This protein-packed lunch bowl with warm spices from A Cedar Spoon will fuel you all the way to dinner time! 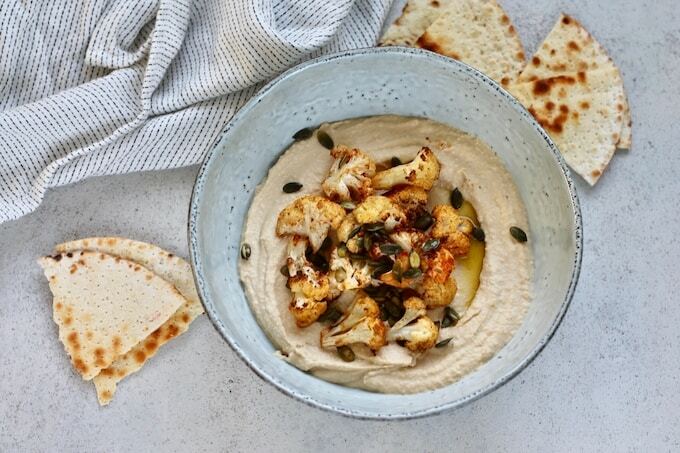 Roasted Cauliflower Hummus Bowls | These Roasted Cauliflower Hummus Bowls are a great make-ahead vegetarian lunch idea, and they’re totally adaptable too! Baked Tofu Sushi Bowls | Doesn’t wasabi tahini sauce sound like a vegetarian lunch box dream come true? 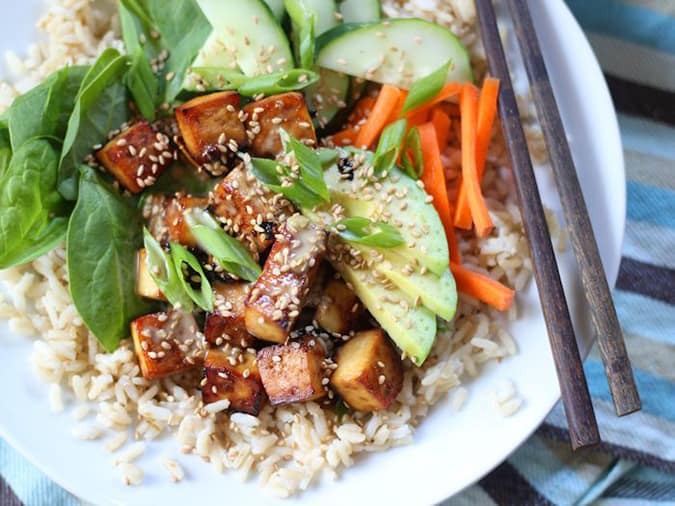 These Baked Tofu Sushi Bowls from Connoisseurus Veg hit it out of the park! 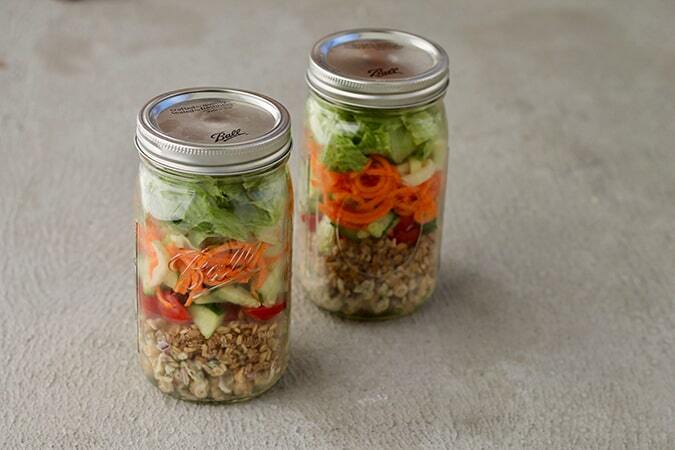 Chickpea Mason Jar Salads | Layered mason jar salads make for amazing packed lunches, with the sturdy ingredients on the bottom and delicate on top. These have a zesty chickpea salad, whole grains, and lots of veg for a healthy and tasty lunch. 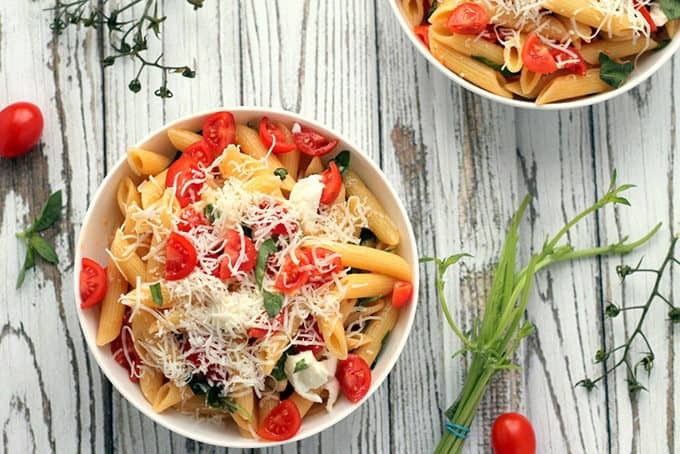 Caprese Pasta Bowls | These Caprese Pasta Bowls from Happy Veggie Kitchen are right up my alley! I love the fresh flavours in there, and sometimes you just want a good carby lunch, ya know?! 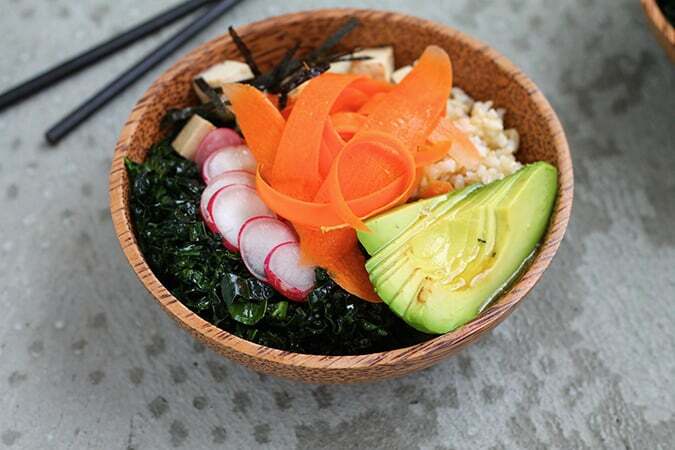 Vegan Poke Bowls | Marinated tofu, massaged kale salad, and strips of nori come together in this packable vegetarian lunch box. 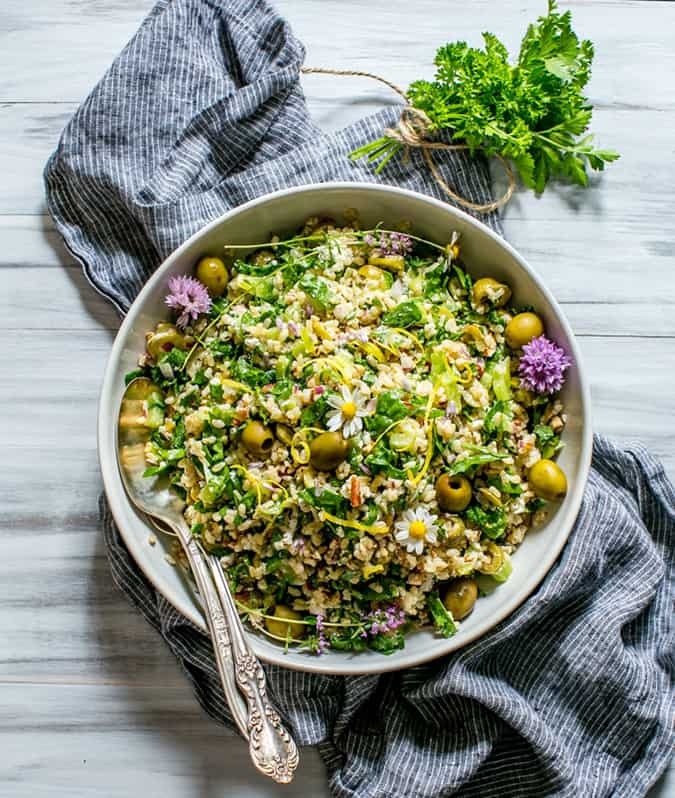 Spinach Pecan Brown Rice Salad | This beautiful and nutritious spinach and pecan brown rice salad from Vanilla and Bean is almost too pretty to eat… but eat it, it’s delicious! 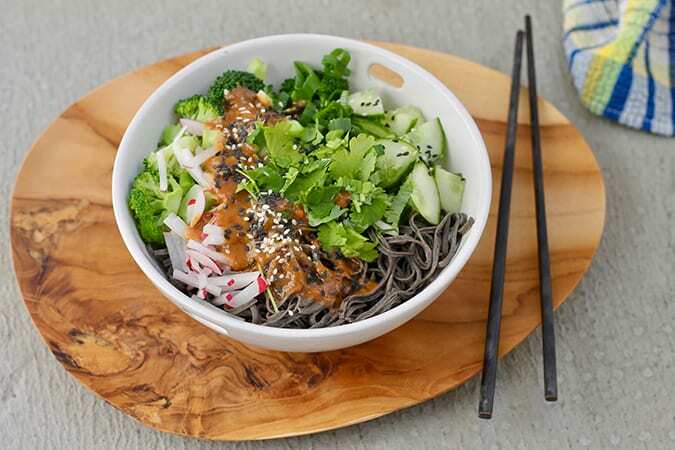 Black Bean Noodle Bowls with Spicy Sesame Sauce | Black bean noodles are loaded with protein and dietary fiber, and make the perfect base for a vegetarian lunch box. Topped with veggies and a spicy sesame sauce, these make for one delicious lunch. 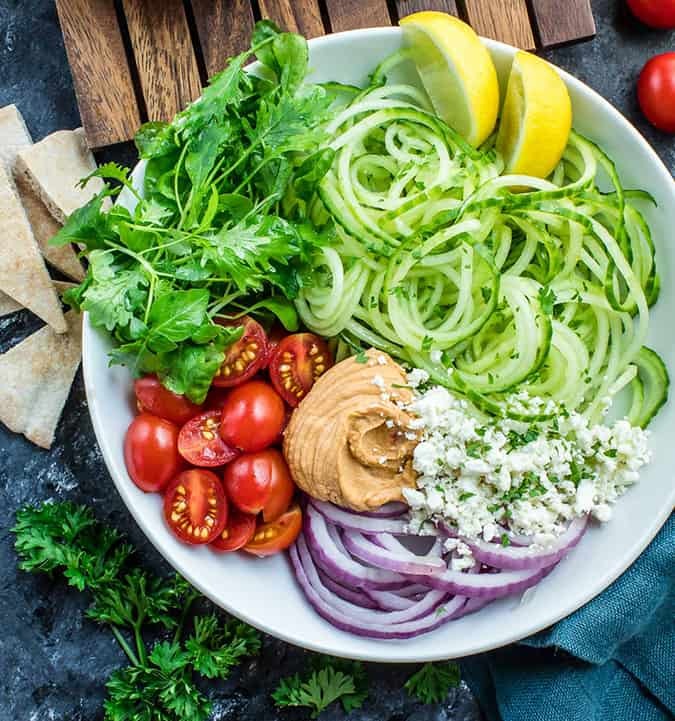 Greek Spiralized Cucumber Salad | Take your Greek Salad to the next level and pump up your vegetarian lunch box with this gorgeous Greek Spiralized Cucumber Salad from Peas and Crayons. 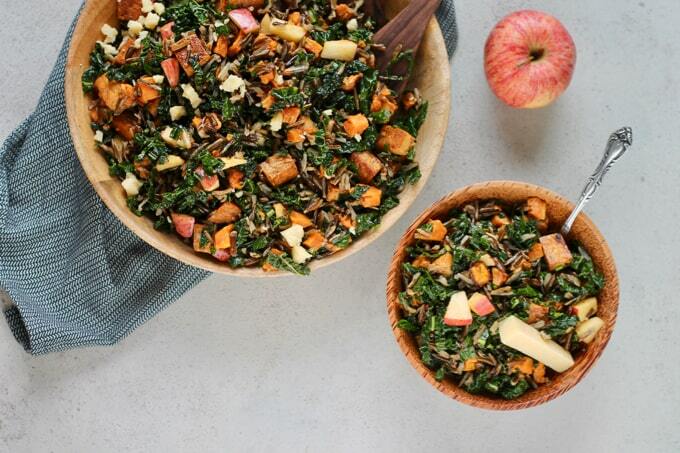 Spicy Tofu Grain Bowls with Roasted Sweet Potato | These vegetarian grain bowls feature spicy tofu with a no-press technique, roasted sweet potatoes, kale, wild rice, and apples. They’re a perfect meal prep lunch idea! 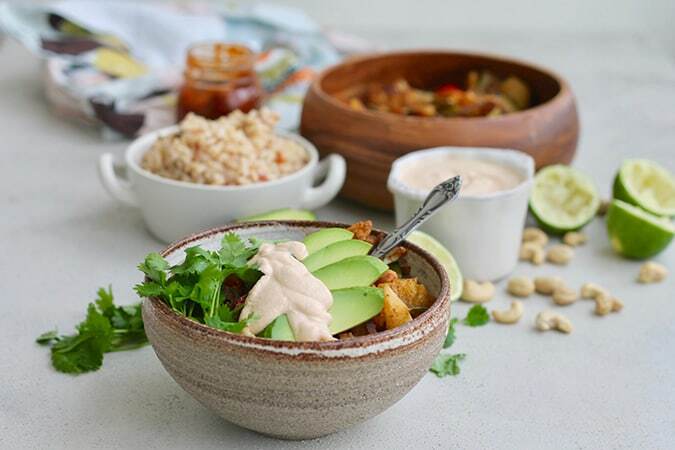 Spicy Chickpea Freekeh Buddha Bowls | Who doesn’t love a good Buddah Bowl? With spicy chickpeas and freekeh, these bowls from The Petite Cook would make an outstanding vegetarian lunch box. 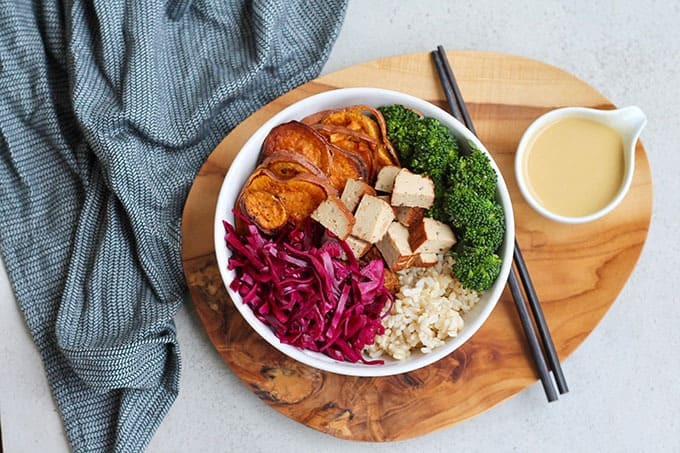 Vegetarian Meal Prep Bowls | These vegetarian meal prep bowls feature quick pickled red cabbage, roasted sweet potatoes, smoked tofu, and a magic tahini sauce that you’ll legit want to bathe in. 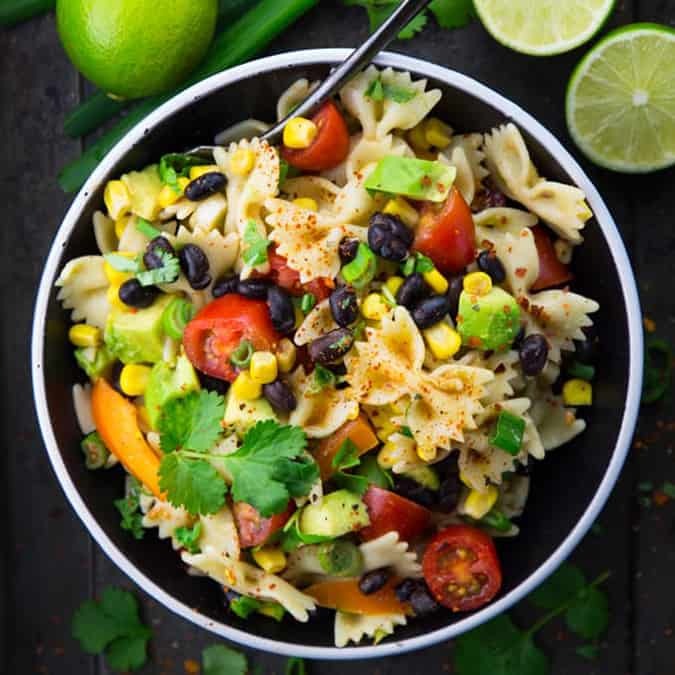 Southwestern Pasta Salad | Not just for picnics, this Southwestern Pasta Salad from Vegan Heaven is loaded with veggies, beans, and packed with flavour. 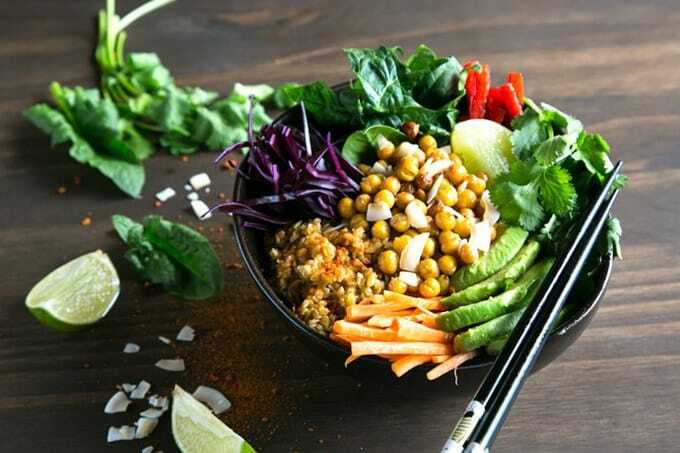 Thai Veggie Quinoa Bowls | These Thai Veggie Quinoa Bowls from Avocado Pesto are packed with flavour and loaded with plant-based protein. Perfect for your vegetarian lunch box! Loaded Greek Chickpea Salad | I always like to add a bit more protein to a Greek Salad, especially if it’s going to be my lunch. 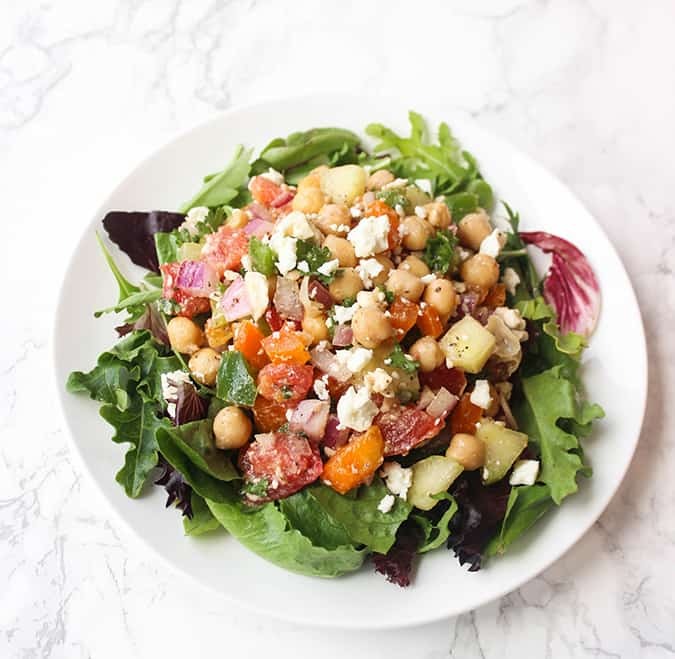 This Loaded Greek Chickpea Salad from Healthy Liv is just the thing to get you through the day. 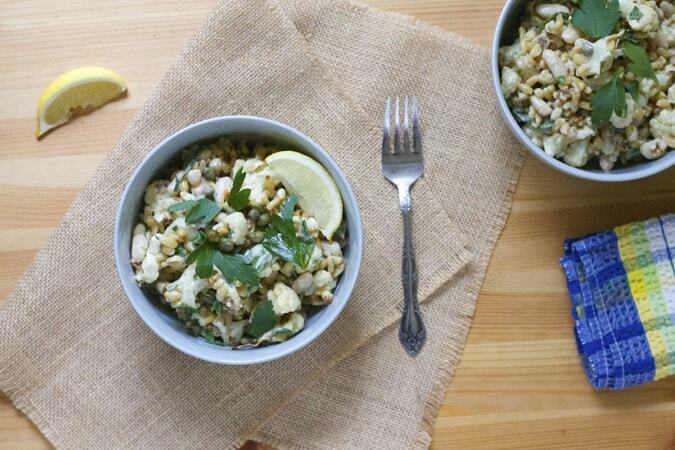 Roasted Cauliflower and White Bean Salad | With healthy whole grains, a creamy tahini sauce, salty capers, toasted pine nuts, and a squeeze of lemon, this Roasted Cauliflower and White Bean Salad is as satisfying as it is delicious. 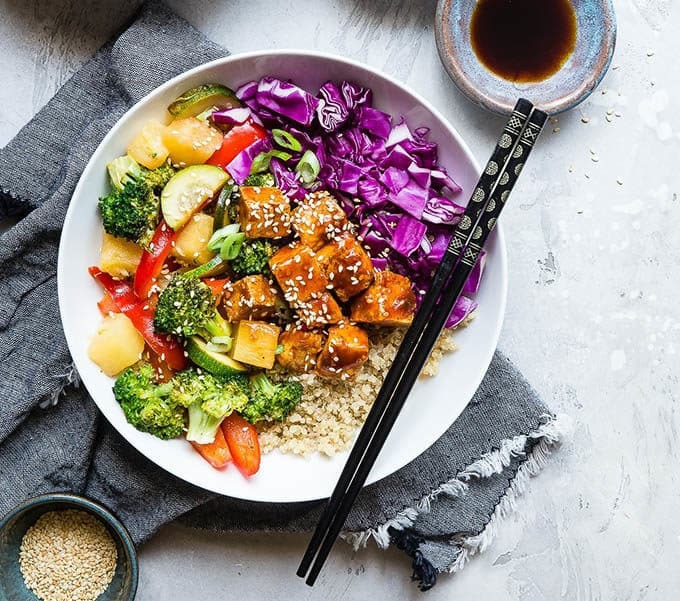 Korean Barbecue Tofu Meal Prep Bowls | These colourful meal prep bowls from Hello Veggie don’t just look good, they’re packed with plant-based protein to keep you satisfied all through the afternoon. I agree with you, bowls are my favorite way to eat and so easy. 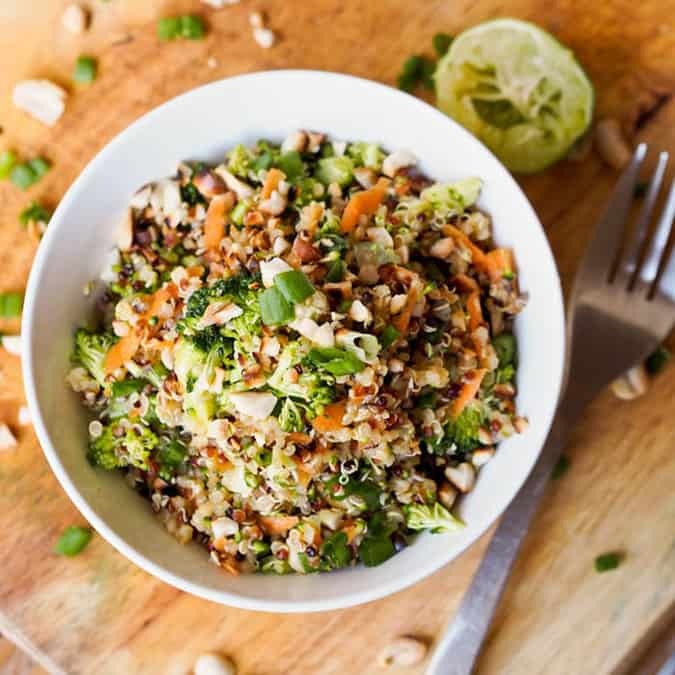 It’s a good way to use up leftovers, throw some veggies and grains together and top with a delicious dressing. Wow, so much inspiration here. I need this now I’m back to packing lunchboxes a few days a week. I’ve totally forgotten how! I love all these ideas and can’t wait to dig into all of them!